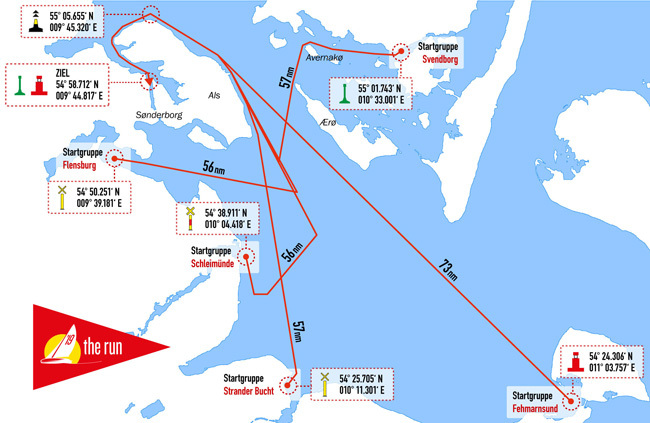 in different locations on the coast: The initial regatta, "The Run", will lead all boats to Sønderborg, being started west of Fehmarn, on Kiel Firth, at Schleimünde and from more places at 09:30pm into the night. Those who rather wish to cruise to Sønderborg, are invited to do so as well. 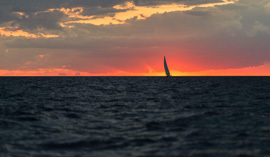 Finally, all boats will meet on 15th June, in the old Danish harbourtown.